Kersseboom, R., V. B. T. Ta, A. J. E. Zijlstra, S. Middendorp, H. Jumaa, P. F. van Loo, and R. W. Hendriks. 2006. 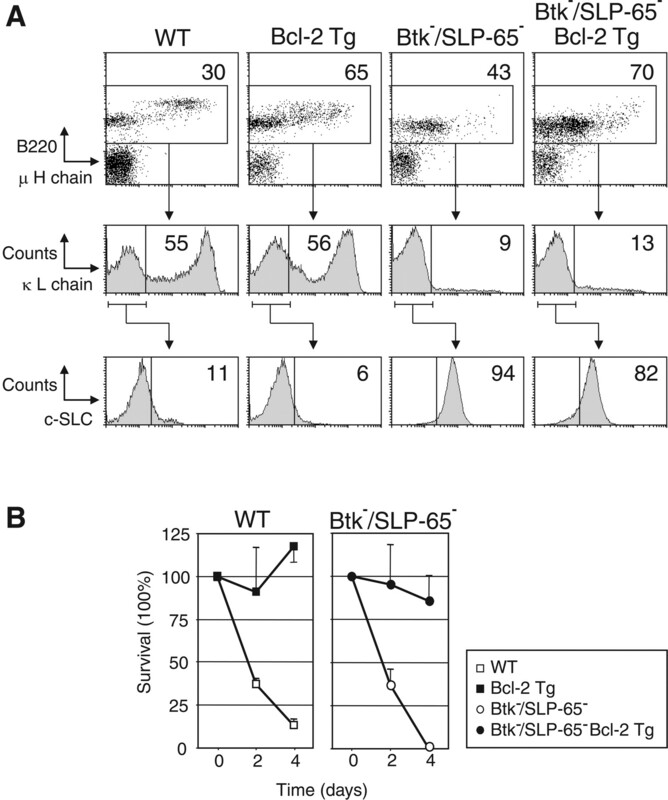 Bruton’s tyrosine kinase and SLP-65 regulate pre-B cell differentiation and the induction of Ig light chain gene rearrangement. J. Immunol. 176: 4543–4552 . In Figure 4A, the label for the bottom row of histograms was duplicated by mistake in the label of the row above it. The label for the bottom row should read, “Counts versus c-SLC” (cytoplasmic surrogate light chain), as stated in the figure legend. The corrected figure⇓ is shown below.